What Caused This Koenigsegg To Suddenly Catch Fire In China? It's sad to see such a beautiful car surrounded by a cloud of smoke. 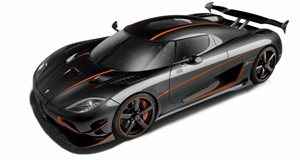 The Koenigsegg Agera R is one of the fastest and most exclusive cars in the world. Each Koenigsegg is hand-built using only the finest materials, so there's no way that such an exquisite car could ever go wrong, right? Well, catching fire is a very serious issue that seems to be all too common in the realm of supercars. Footage has recently been shown of a Koenigsegg Agera R (believed to be chassis #85) that burned down in an explosion in China. The footage shows the car being sprayed with a fire extinguisher. The first footage of the car came from a supercar spotting group called Global Car Wanted. There is some additional footage of the car going up in smoke on a privately owned Chinese YouTube channel. The car appears to be pulled over safely, when an explosion occurs under the hood. It is believed that the battery was the component that exploded, and it is not known what caused it to fail. Koenigsegg uses a LiFePO4 battery, which has a lithium iron phosphate formula that's much safer than other lithium compounds. Unfortunately, this battery is not perfect and can still fail due to misuse. We hope to get more details about what went wrong here. It's sad to see such an expensive car go up in smoke.